CruinndracFarms Forums • View topic - Making my own? A place to post any questions you have regarding Wyrms, Wyrm breeds, and the whole breeding game in general. Uhm, hi! Sorry if this is a super stupid question but I can't afford buying a Wyrm because I'm in high school and don't have a job, but I'm a pretty adept sculptor and all that. Am I allowed to make my own Wyrm to register? I would follow all the rules and keep it from being too rare/fancy because that would be cheating I think. I could even make an egg and draw the picture for the card if that's ok? Again, sorry if I'm being ridiculous. deerking wrote: Uhm, hi! Sorry if this is a super stupid question but I can't afford buying a Wyrm because I'm in high school and don't have a job, but I'm a pretty adept sculptor and all that. Am I allowed to make my own Wyrm to register? I would follow all the rules and keep it from being too rare/fancy because that would be cheating I think. I could even make an egg and draw the picture for the card if that's ok? Again, sorry if I'm being ridiculous. Sorry, but no. Wyrms are copyrighted by HopefulMonster. All official wyrms of Cruinndrac farms, are made by the team of sculptors and on occasion staff members for cons. By buying, you're supporting D as a artist and her family since she's a stay at home mum. Flicka covered the basics with her response. We can't really copyright "furry noodle body with a clay head" but all of the game's aspects belong to Hopefulmonsterstudios. You cannot create your own Cruinndrac Farms wyrm, use our species/types/etc. or have any critters that weren't made by our team be added to the registry. I joined the game when I was leaving high school and moving into college. I'll honestly just give you the same advice once given to me when I wanted my first wyrm: Save all the pennies. Take change from the couch cushions, pick dimes off the street, take discarded nickels from your friend's bedroom floor if they're cool with it. It sounds absolutely absurd but hoarding change really does add up. 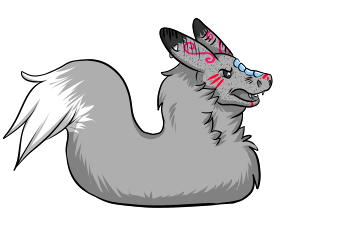 We have conventions you can ask fellow handlers to pick wyrms up from, forum sales, and people frequently trade/sell wyrms here. There's loads of opportunities to get a wyrm in the future so there's no need to rush. Hey Deer! Shadra and Flicka beat me to it, but they've pretty much covered all the bases. CDF Wyrms are my specific design, and the designs of our team of sculptors. As such, they are protected by US Copyright law, & the CDF Logo and designs are trademark registered. As a freelancer, I tooooootally get the "Want thing, do not have money for thing" problem! I deal with it myself frequently! My suggestions would be as follows. Other options would be we sometimes hold contests online. Art, photography, writing, raffles, etc are ways to earn or win a wyrm. Some of our handlers with many wyrms hold giveaways on occasion to newbie Handlers. There is also the option of asking family members if there are any chores or things you can do to help around the house to earn some extra dosh. 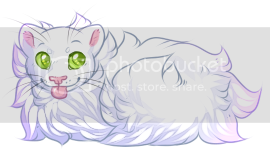 And while I haven't advertised it a lot, I do also offer gift certificates towards wyrms for purchase. In past years, it's sometimes someone like yourself, without a job, who's parents want to get them a gift for a holiday or birthday. The $ amount is pre-purchased, I mail a paper gift cert w/ an item #, and that can be used as credit to purchase Wyrms online or at conventions via CDF. So there are quite a few options available, it just depends on what works best for you! I wish you absolutely all the best of luck in your search for a fuzzy friend. Thank you for your replies! I assumed that it wasn't going to be allowed, but I thought I'd ask. I'm currently saving all the money I can! I'm excited for my first Wyrm, and hopefully I can get one soon! Thanks again!